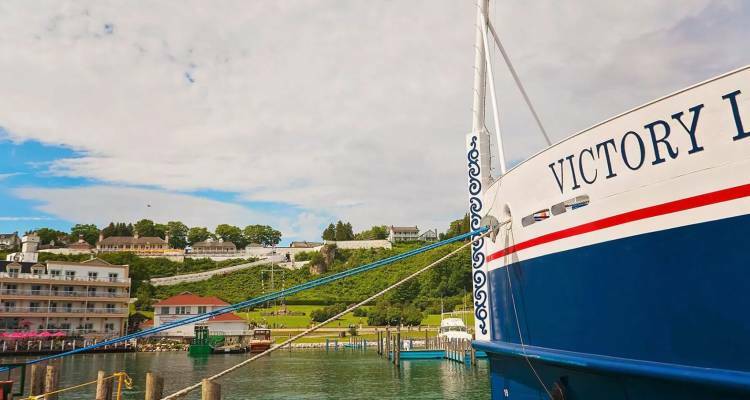 The vessel is the identical sister ship to our intimate 202-passenger Victory I, which launched Victory Cruise Lines on the Great Lakes in July 2016. The indisputable joy of sailing is brought to life on the M/V Victory I, agile intimate ships that easily navigate canals and locks, tranquil bays, and hidden ports where larger ships dare not go. Onboard, our fresh, modern design tips its hat to our maritime past as spacious open-air lounges, inviting dining venues, and generous windows ensure you never miss a chance to savor the spectacular view. Aboard the M/V Victory I, you’ll often travel in the company of engaging specialists focusing on areas where our journey takes us. They share their expertise freely in presentations and impromptu discussions throughout the journey. In port, inclusive shore excursions with knowledgeable local guides provide meaningful opportunities to uncover the rich history, unique wildlife, and fascinating cultures of the destinations you will visit. Beyond outstanding service and hospitality, every meal will bring about moments of sheer bliss. Each day, you will enjoy mouth-watering canapés as a prelude to casual and sophisticated cuisine in distinctive venues. Share stories and laughter with friends and fellow travelers in the casual comfort of this cozy, English-style tavern. In the early evening, talented musicians bring the ship to life with all your favorite songs.